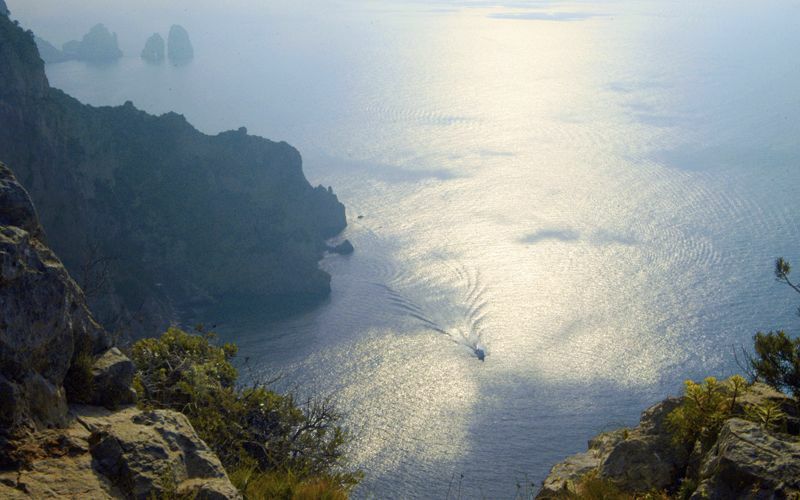 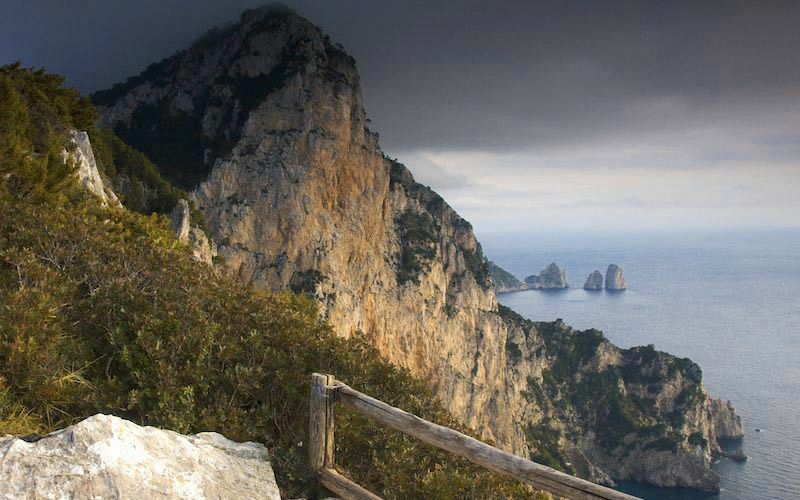 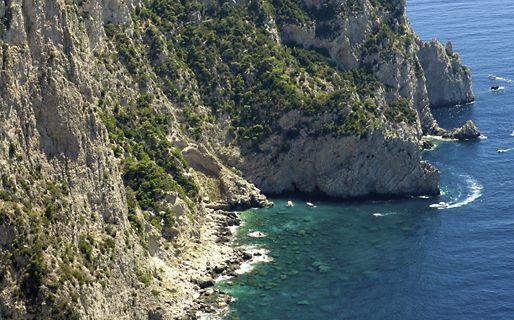 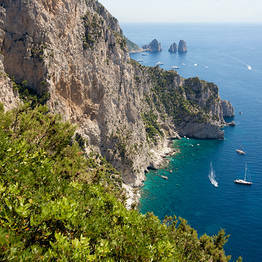 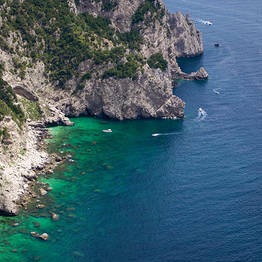 Though it may be hard to believe, on Capri there are still places virtually unkown to the masses of tourists who visit, where you can explore the island's natural beauty and endless views in heavenly solitude. 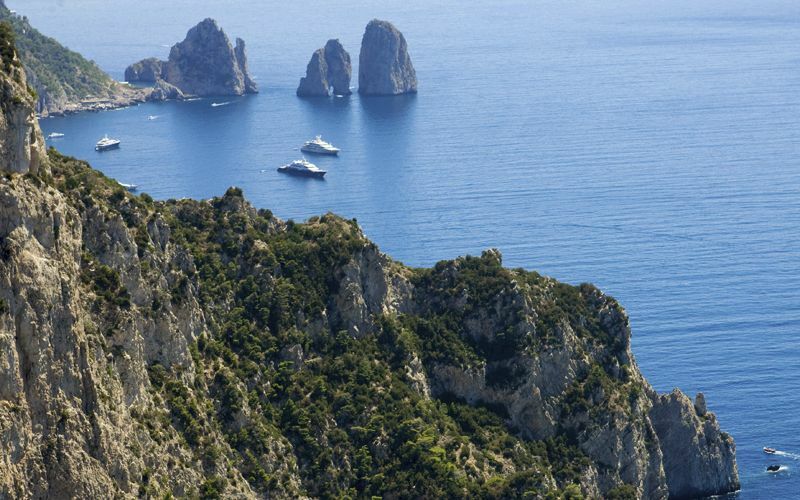 One of these is La Migliera in Anacapri, on the island's west coast. 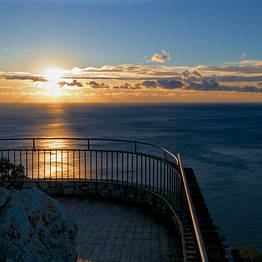 Via Migliera begins at Piazza della Pace in Anacapri and winds through vineyards and fields for about two kilometers. 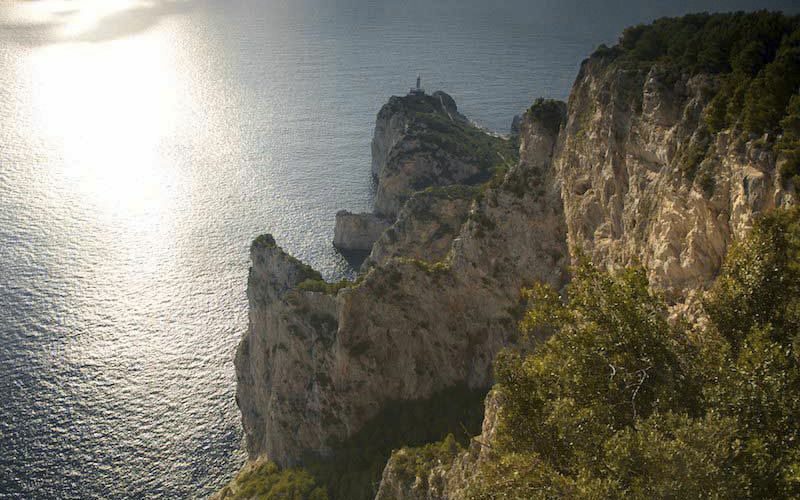 Along the walk, you are treated to a glimpse into the past when this was a rural, farming culture...a spirit that lives on in the more remote corners of this cosmopolitan island. 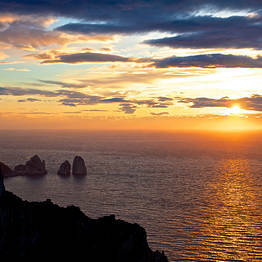 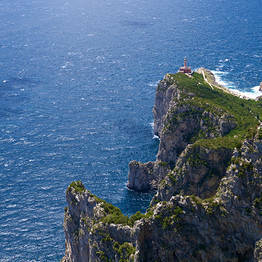 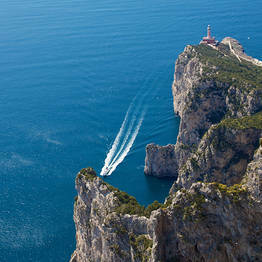 The route ends at the Belvedere del Tuono scenic overlook, which faces the open sea and the Punta Carena lighthouse. 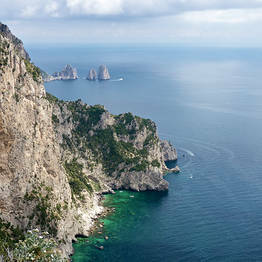 To the left, a path almost hidden by the brush leads to a second scenic overlook which has views of Capri's Faraglioni rock formations. 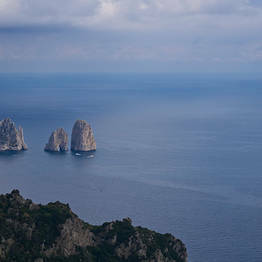 The horizon stretches across the waves and the slopes of Mount Solaro are carved against the blue sky in a composition of rock, cliff, and woods created by nature and time. 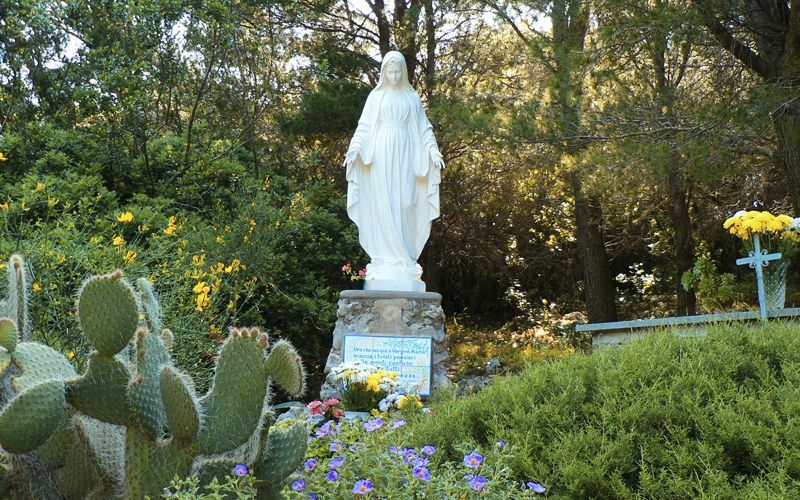 There is both a cross and a statue of the Virgin Mary placed here to commemorate the many who chose this spot to take their life in years past, as mentioned by the writer Alberto Moravia in his book "1934". 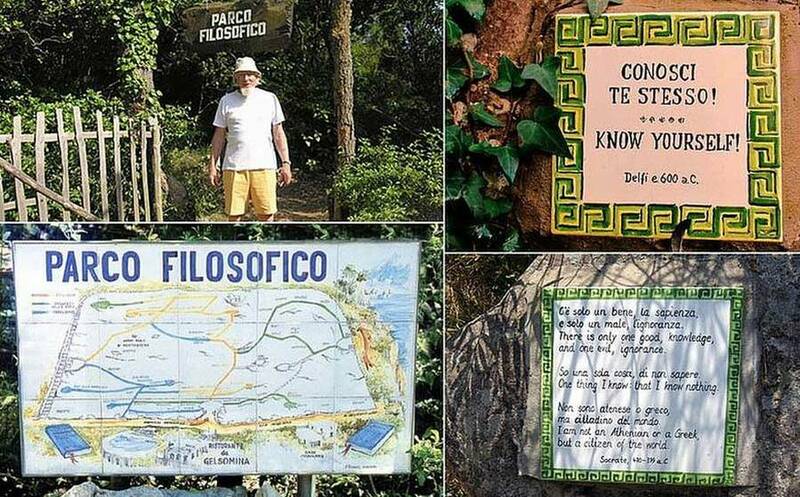 You can stop for lunch here at the Da Gelsomina restaurant, just a few meters from the Migliera scenic overlook, or relax for a few minutes in the Philosophical Park before returning to Anacapri for a stroll around the center of town. 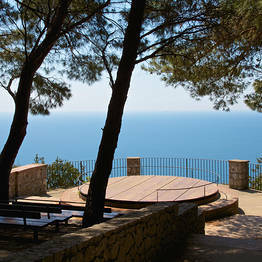 The Philosophical Park was founded by the Swedish economist Gunner Karlsson, who deeply loved this spot. 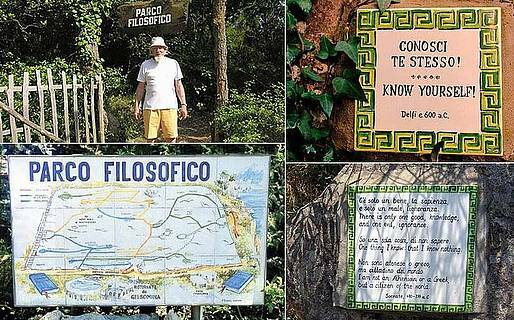 Visitors can walk the route around the hillside lined with tiles painted with quotes and aphorisms by Eastern and Western philosophers. 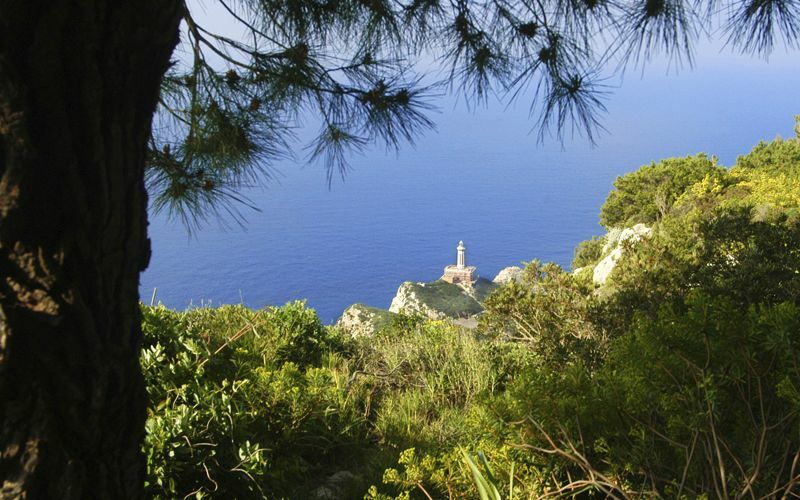 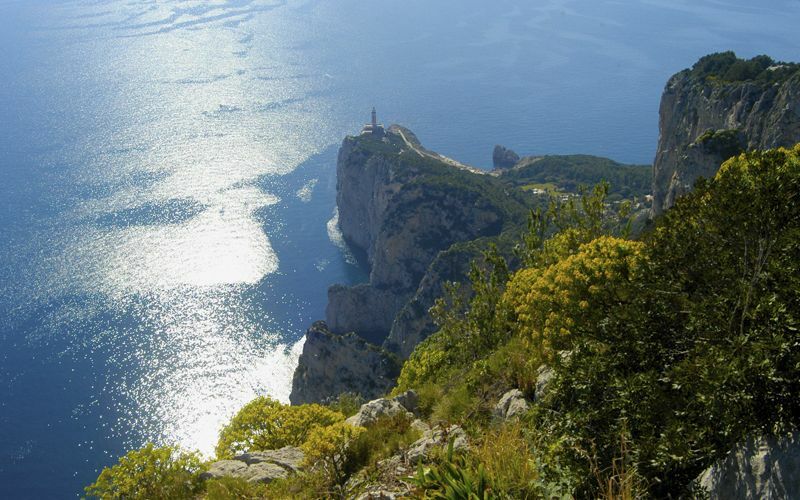 If you'd prefer to continue your walk, you can follow the path down from the Migliera to the Punta Carena lighthouse.